﻿Students and staff came together Monday night at La Casa Latino Cultural Center to learn how to salsa dance as part of their weekly free lessons by La Casa partner organization, Paso a Paso. 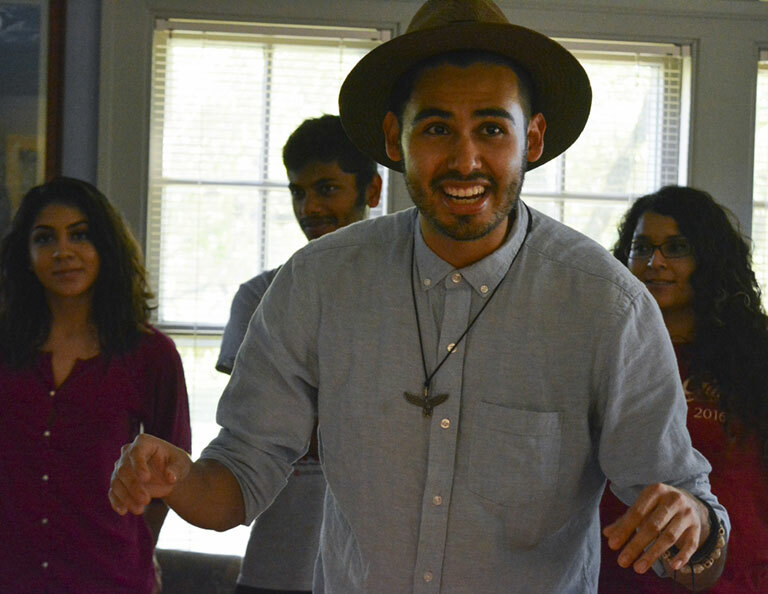 Paso a Paso, which means “step by step” in Spanish, is a nonprofit aiming to bring Latin dancing to the IU community. Founder and director Gabriel Escobedo said he began the program three years ago when he came to IU as a Ph.D. student. His mission was to help the Latino youth learn more about their culture. Escobedo teaches lessons at Serendipity Martini Bar, coaches IU’s Paso a Paso dance team and co-hosts other weekly events. For the past two years he also held monthly dance workshops, but this is the first time he has taught weekly lessons at La Casa. This week, dancers learned how to salsa. Just like the food, salsa dancing is a mix of many different ingredients, Escobedo said. It originated when Latinos from Colombia, Cuba and Puerto Rico fled to New York City during the 1960s. Competition between cultures in the area often came through music and dancing, Escobedo said. As the sounds came together, salsa was created. “They started contesting for who was right, and eventually they started listening to each other,” Escobedo said. Graduate student and dance team member Gionni Ponce said she likes learning the culture that goes along with the dance lesson. As a Latina, it is important for her to learn the history behind the moves, she said. Ponce said she also likes that Escobedo doesn’t set gender roles during his lessons. Either partner can lead or follow while dancing. “When you know both sides of the dance, it helps you understand the structure, and it’s overall more inclusive,” Ponce said. Before Paso a Paso, Ponce said she only knew the Latin dances by learning them from her family, but now she is able to formalize her skills. She said her favorite part of Paso a Paso has been finding a community of others who also love dance. Yash Kachhara, another graduate student, is part of that community. He said he learned about the lessons through a La Casa retreat and his friendship with Escobedo. He is in the ballroom dancing club at IU and knows ballet but said his roots come from Bollywood dancing at his home in India. There, Latin dancing is almost unheard of, he said, and Paso a Paso is a chance to learn something new.